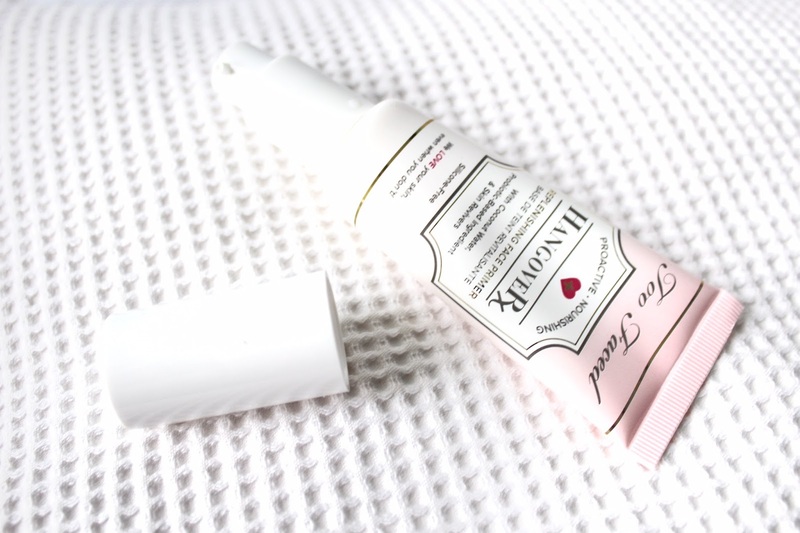 So, I finally took the plunge and purchased the Too Faced Hangover Primer. Yes, that's right, I gave in and splashed the cash a little. I was completely out of my Maybelline Baby Skin Instant Pore Eraser (which I repurchased as well) and I thought what kind of beauty blogger would I be if I didn't own anything by Too Faced. Obviously this review is subject to different skin types etc. My skin type is oily to combination, lucky me, right? I have always found it difficult to find a primer that really compliments my skin, and I honestly think this product does just that. First things first is the packaging, I absolutely love it. It is so luxe and sophisticated. The tube itself is the perfect makeup bag size (although it definitely could be bigger for the price!!) and comes with a handy no mess pump. The scent is divine. Imagine holidaying in the Bahamas, that's what it smells like. The ingredients include coconut water, hence the absolutely heavenly smell of vacations abroad. Application is easy and smooth. I only needed two pumps and I applied it by hand. Although, you could probably use a brush too if you prefer. It really left my skin feeling refreshed and cooled. Under foundation (I use Estee Lauder's Double Wear Foundation in Desert Beige) it truly glows, and sets my makeup to a smooth perfection. It promises that it keeps your skin 100% hydrated, and it really did, but without that horrible slimy feeling. I think I touched my makeup up once during the day and that was it. The only downfall to this product is the price, isn't it always though? At £27 is it incredibly pricey so I think I will be only repurchasing it as a once in a while treat. 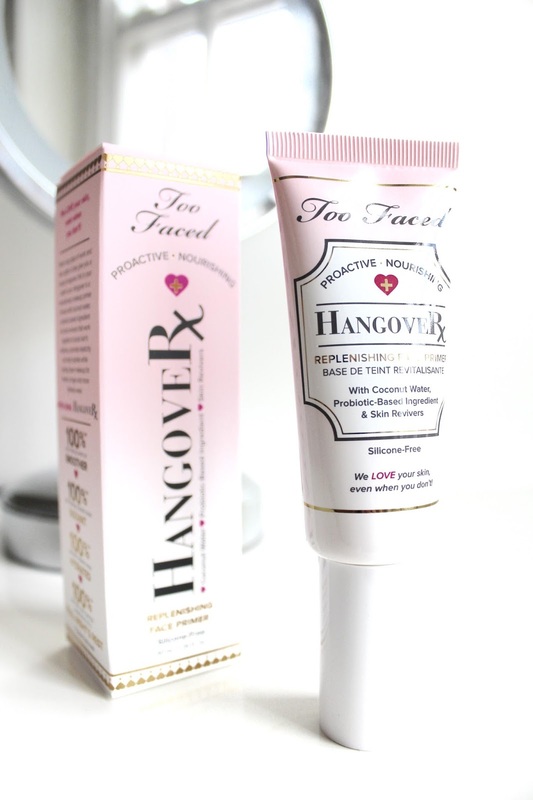 Has anyone else tried the Too Faced Hangover Primer? What did you think?